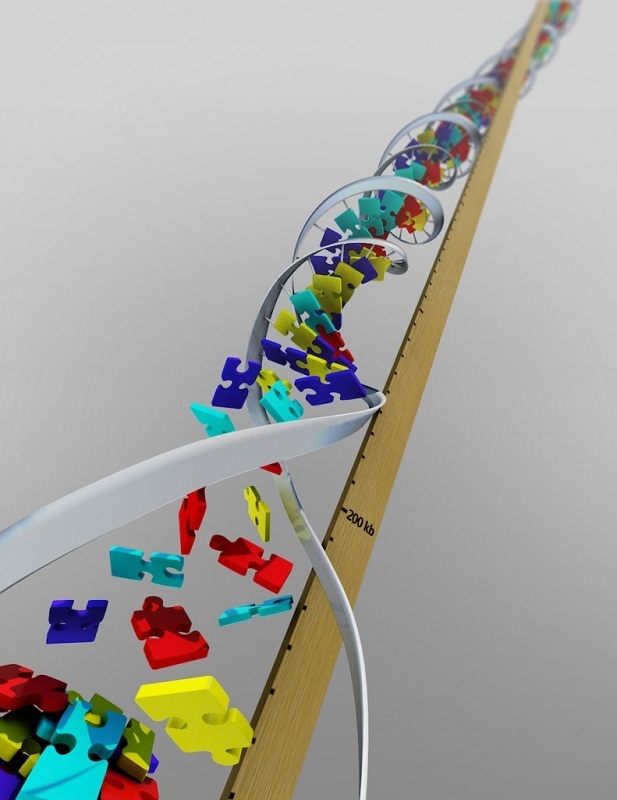 Study identifies children with Autism who benefit from genetic testing. Autism spectrum disorder (ASD) represents a diverse group of neurodevelopmental conditions. The clinical presentation and outcome vary substantially. The use of genome-wide tests to provide molecular diagnosis for individuals with ASD requires more study and is a big area of interest for many research groups. Now, a study from researchers at the Hospital for Sick Children, Toronto shows that the use of two newer genetic testing technologies among children with autism spectrum disorder may help identify genetic mutations potentially linked to the disorder. The team states that their study also found that children with certain physical anomalies were more likely to have genetic mutations, findings that may help identify children who could benefit most from genetic testing. The opensource study is published in the journal JAMA. Previous studies show that the broad phenotype spectrum of ASD is also reflected in the underlying genetic etiology, which ranges from identifiable monogenic syndromes to large chromosome imbalances. Chromosomal microarray analysis (CMA) is recommended as the first-tier genetic test for individuals with ASD with a yield ranging from 7.0% to 9.0%. Whole-exome sequencing (WES) on research cohorts of individuals with ASD have highlighted sequence-level de novo mutations in the etiology of ASD. Despite these efforts, the molecular diagnostic yield of WES in a heterogeneous ASD sample is undefined, and CMA data on these same patients may help inform clinical practice. The current study performed chromosomal microarray analysis (CMA) and whole-exome sequencing (WES) in a group of 258 unrelated children with ASD to determine the molecular diagnostic yield of these tests. The molecular diagnostic yield is the percentage of subjects with a genetic mutation that may contribute to the features of autism spectrum disorder. All children underwent CMA; a random subset of 95 also underwent WES. All children underwent detailed clinical assessments for the presence of any major congenital abnormalities and minor physical anomalies and were stratified into 3 groups of increasing morphological severity. Results showed that of the 258 children, 24 (9.3 percent) received a molecular diagnosis from CMA and 8 of 95 (8.4 percent) from WES. Data findings show that among the children who underwent both CMA and WES testing, the estimated proportion with an identifiable genetic cause was 15.8 percent. This included 2 children who received molecular diagnoses from both tests. The clinical yield for genetic testing was much higher (37.5 percent) in children with ASD who had more complex clinical presentations based on physical examination. The researchers state that they have demonstrated differences related to morphological stratification of ASD in children based on clinical examination. The findings suggest that medical evaluation of ASD in children may help identify populations more likely to achieve a molecular diagnosis with genetic testing. The lab note that it appears likely that genetic testing of children with ASD will continue to increase. In a survey of parental interest in ASD genetic testing from the group, 80 percent of parents indicated that they would want a sibling younger than 2 years tested to identify ASD-risk mutations even if the test could not confirm or rule out the diagnosis. The team go on to add that for some children with positive genetic test results, treatment plans targeting ASD-associated medical conditions can be offered. The researchers conclude that if replicated in additional populations, these findings may inform appropriate selection of molecular diagnostic testing for children affected by ASD. The team surmise that the data indicate that physicians responsible for children with ASD should arrange access to a genetic evaluation using techniques that have the best chance of determining an etiologic diagnosis. For the future the lab state that it is incontrovertible that precise diagnoses pave the way to better medical care, improved surveillance, better functional outcomes, and informed genetic counseling, often with the possibility of prenatal or preimplantation diagnosis.